I have a really long history of hating field trips. 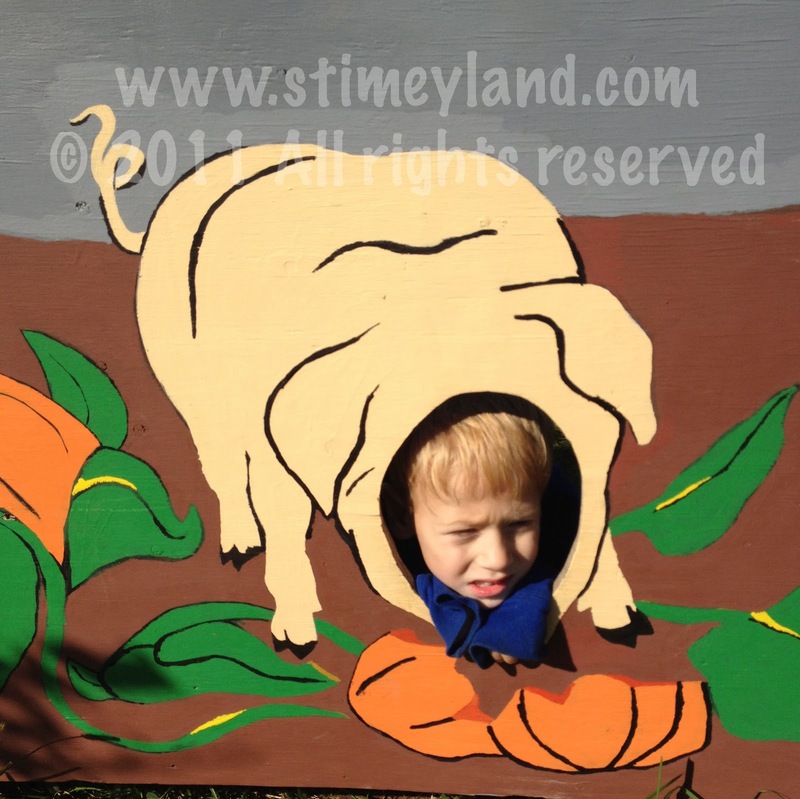 I have some really traumatic memories of preschool field trips with all three of my kids. 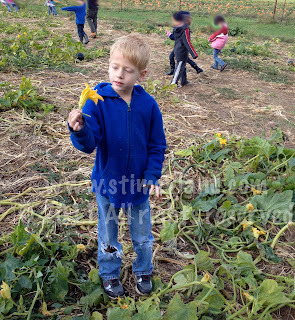 As a matter of fact, one of my very worst, very visceral memories is of a field trip we took to the dump when Sam was in his 4s class and I had to bring Jack and Quinn with me. Quinn wasn't walking yet, so I had to carry him, and Jack freaked out, so I had to carry him too. We basically spent an hour or so wandering around a city dump, and the tour included a trip up and down a four-story, stairs-only observation deck. The blog post I wrote about it can in no way convey how terrible that day was for me. I am still not completely recovered from it. (1) My kids are older. Thank the good lord, my kids have aged and are a little more stable. (2) I no longer have to take younger siblings with me. Thank the good lord, that makes ME a little more stable. (3) I have honed my skills when it comes to keeping track of the 3-6 kids I have been assigned to keep track of on any given trip. My "1-2-3-4-5-6" counting skills are unmatched. 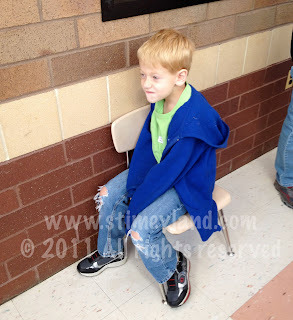 (4) I have learned that when kids start to wander off, that if you start playing Simon Says, they will stop and play. (5) I've learned that as long as you bring back all the kids you've been charged with and don't have a freakout in front of the teacher, you are considered a successful chaperone. Even I can do that. Naturally, when I chaperone Sam's upcoming field trip next week, something will go terribly wrong and I will kick myself for not knocking on some serious wood here. 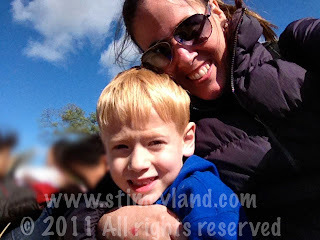 And I'm going to be honest here and say that field trips with your special needs kid are a little tougher. It's not ALL smiles and sunshine. It's more like grins and mostly sunny. 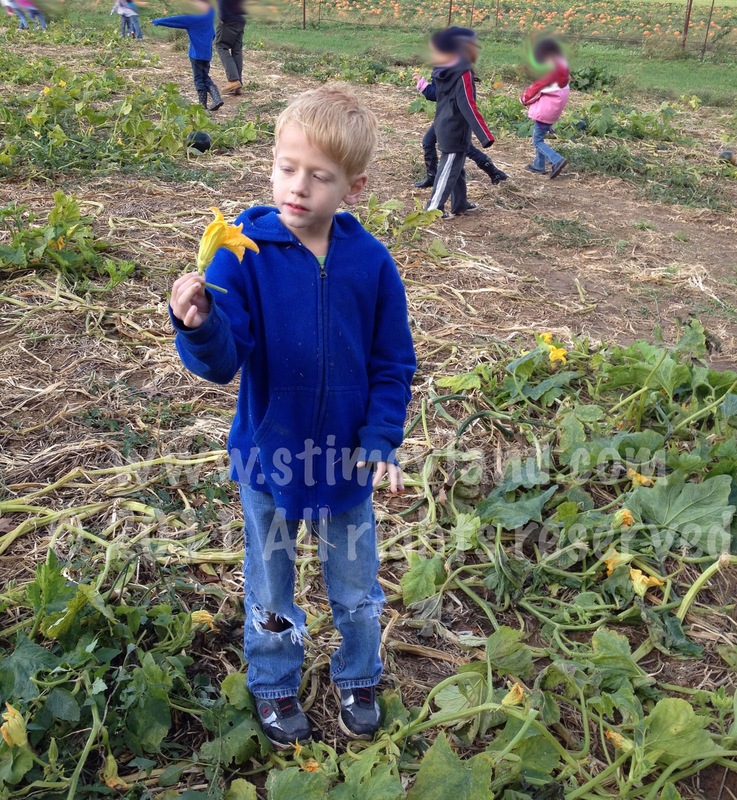 Last week, Quinn and his class went to a farm to pick pumpkins. 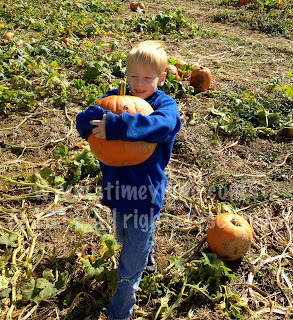 My favorite was when the teacher told the kids to only pick out pumpkins they could carry by themselves and then she leaned over and told me that every year she has one kid who tries to take the biggest pumpkin in the patch. 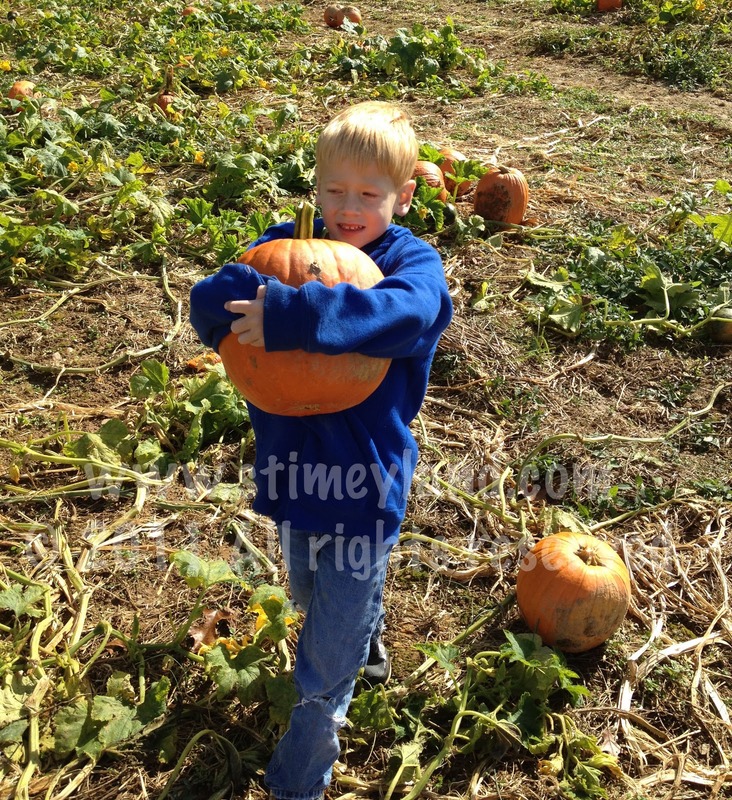 Then she mimed a kid stumbling around with an armful of giant pumpkin. I kind of feel like I'm in a magic spot with my kids. Like, the first few years of their lives are so hard because you're figuring them out and the learning curve on just, you know, keeping them fed and clothed is hard enough. When you add autism or a medical issue or any extraordinary life circumstances, it just makes it so much harder. Then, once puberty hits, I believe that the learning curve will turn into a sharp left turn, but for now, we're at a little bit of a plateau. 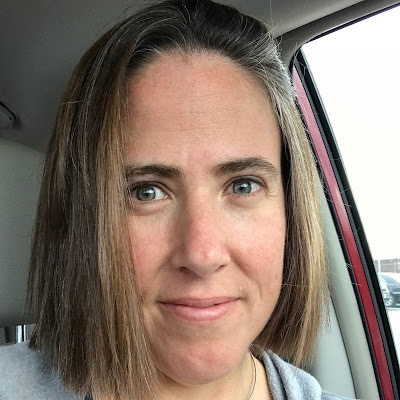 I'm NOT saying that I have it all figured out, but I feel like even though I regularly heave a big sigh and say "Parenting is HARD," in an attempt to encapsulate everything I know into three words, we're in this spot where the hills and valleys are a little shallower. Sometimes we even find time to stop and smell the (pumpkin) flowers. I wish I had something funny and pithy to say about this next photo, but I think it does that all by itself. I like how Quinn's little sweatshirt-clad hands sticking out of the neckhole make it look like the Q-pig is wearing a bow tie.